Around 250 appointments have been cancelled at Lincolnshire’s hospitals as junior doctors prepare to strike for the second time in a month. Doctors will walk out for 24 hours from 8am on Wednesday, February 10, providing only emergency care. Lincolnshire’s hospitals have had to postpone 10 operations scheduled for tomorrow in addition to the appointments. United Lincolnshire Hospitals NHS Trust said that it was unaware of how many junior doctors would be participating in the strike, stating that the doctors do not have to notify them in advance of the industrial action. He said: “Our plans are robust and will prioritise patients with the greatest health needs and emergency care. We aim to keep disruption to patients to a minimum. “If the strike goes ahead, we will have to cancel a small number of patient appointments and operations at Pilgrim, Lincoln, Skegness and Spalding hospitals. “However, the majority of appointments and operations will not be affected. No services will be affected at Grantham. “We will attempt to contact every patient whose appointment is cancelled and to re-book. Any patient who is not contacted should attend their appointment as planned. 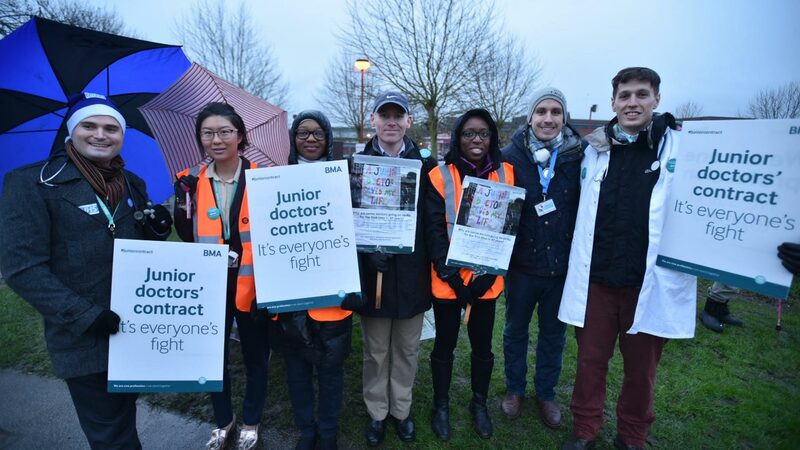 The first strike saw around 100 junior doctors in Lincolnshire walk out from 8am on January 12, in protest at Health Secretary Jeremy Hunt’s proposed changes to their contracts. 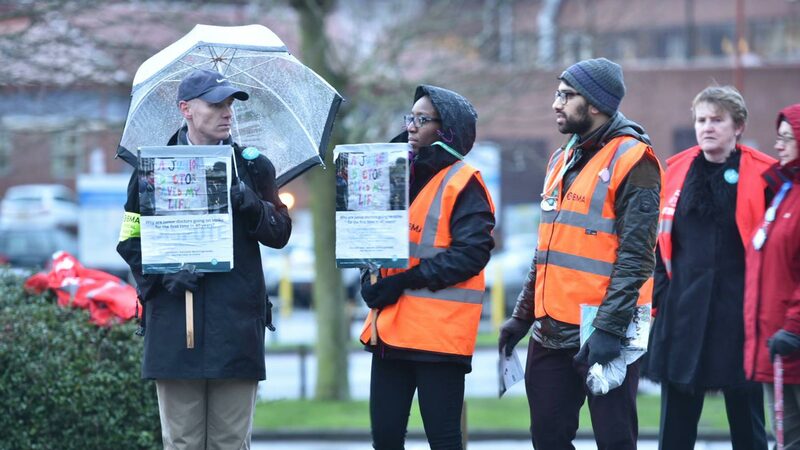 A picket line outside Lincoln County Hospital attracted the attention of those supporting the doctors and others who were critical of their actions. 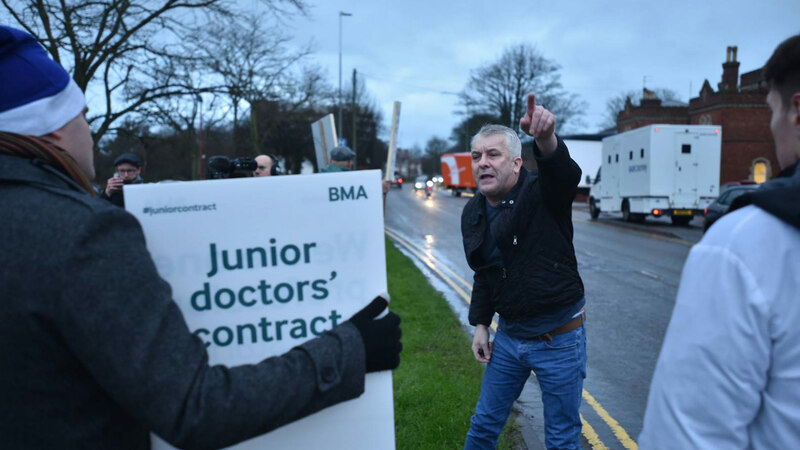 Plans for a second strike on January 26 were shelved following discussions between the government and British Medical Association (BMA). The strike on February 10 was meant to be the first all-out doctors’ strike in NHS history but has been scaled back to the same levels of the previous industrial action. Last ditch talks between the government and BMA are ongoing in an attempt to avert the strike.